Mom’s Favorite Stuff wrote about receiving her Googaro box! We love offering products from companies like Burt’s Bees, that care about the ingredients used in baby skin care. Do you follow any celeb moms on Instagram? If so, share with us your favorites so we can follow along too! Our One Month boxes are back! Perfect for gifts or testing out our subscription service! Our July boxes are causing a lot of excitement! Mama Not Martha shared all about receiving her new box! Green Days Blue Waves also wrote about receiving her new box AND is hosting a fun giveaway! Celebrity mom Ali Landry delivered her newborn son the other day, on his older sister’s birthday! We are curious: do any of your children share the same birthday? 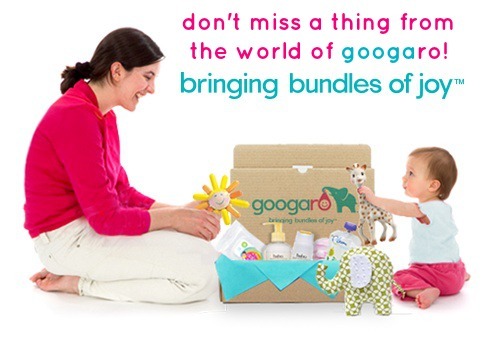 Has your little one opened up his/her newest Googabox yet? We’d love to see photos of your cutie opening up or enjoying all the goodies! Please share with us on Facebook or Twitter! This entry was posted in Week in Review and tagged Ali Landry, Burt's Bees, Facebook, giveaway, Googaro, Instagram, motherhood, Twitter by googaro. Bookmark the permalink.